An amazing conbination. 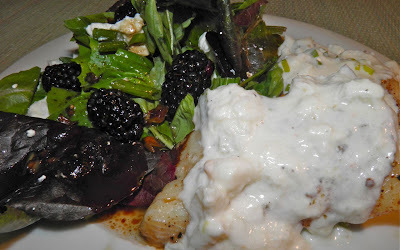 Tangy sauce on fish and sweet berry salad. be translucent. Older fillets turn chalky, It makes a great difference. But it’s OK. I blew any savings I may have had with the purchase of the lump crabmeat, which I believe must be gold plated for the price they charge for it. I would recommend lump as opposed to salad crab which has no structure. The lump is far superior in a sauce. Haddock with a creamy crab sauce is a great combination. For added health benefits I used yogurt rather than the usual cream sauce and added lemon juice for a nice fresh, citrus punch. But what do you serve with such a delicious combination? I came up with a real winner. The salad that accompanied dinner was a green salad with basil (lots of basil), chêvre cheese and sweet blackberries. 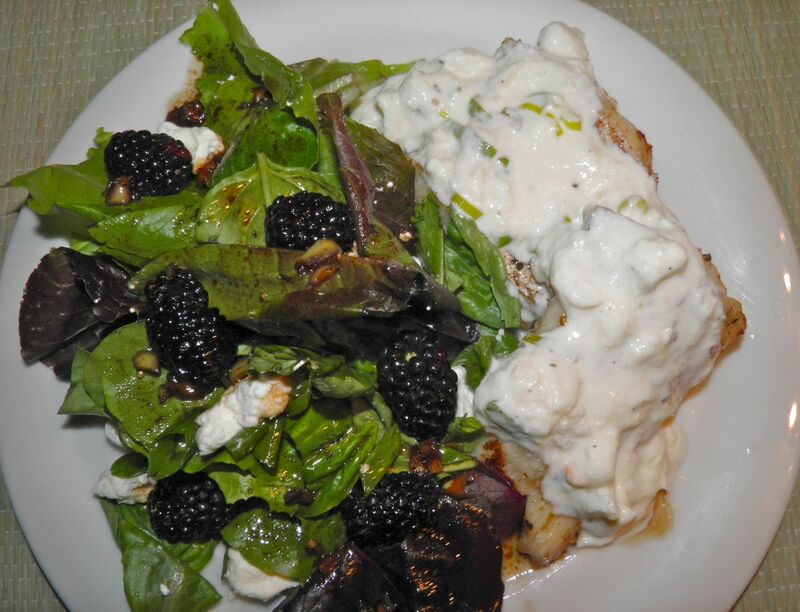 The chêvre was creamy, the berries sweet and the basil was…”basily.” The tangy vinaigrette with bits of hot pepper was just what was needed to bring it all together. One other note. This entire meal – from start to table — was 45 minutes. So you really have no excuse to make this not only on Sunday, but any night of the week. I put the fish in the oven, combined the crabmeat sauce ingredients and then made the salad. Just heat the sauce about 10 minutes before the fish is finished and you’re done. Try these recipes. You won’t regret it. Melt the butter in an 11x7-inch baking pan. 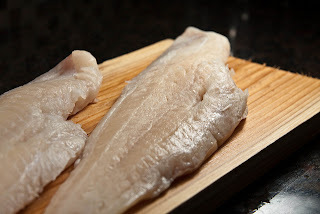 Arrange haddock fillets in a single layer, turning to coat with the melted butter; sprinkle with salt and pepper. Bake for 30 minutes, or until the fish flakes easily with a fork. Meanwhile, in a saucepan, melt butter over medium-low heat. Add the crab meat, yogurt, green onions, lemon juice, salt and pepper in a saucepan. Stir to combine and let heat through. Do not boil this sauce or you’ll risk “breaking” the yogurt. Place the baked fillets on a plate and top with the crab sauce. Serve with blackberry basil salad. Mix together the balsamic vinegar, grapeseed oil, salt pepper and diced hot banana pepper in a jar. Shake well and set aside. Wash and dry the salad greens and basil. Mix well and divide between four plates. Chop the green onions and arrange on the four salads. 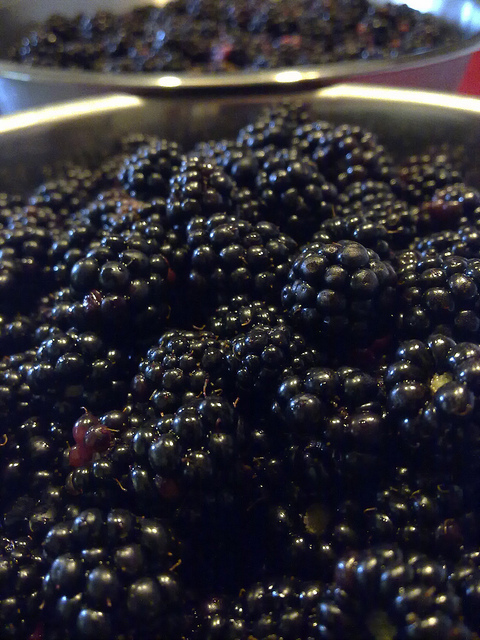 then add pieces of chêvre and blackberries. 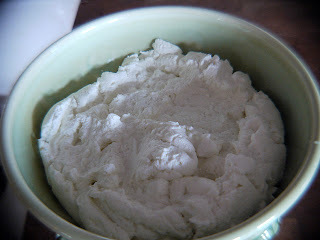 Chêvre is soft and will have to be pulled into pieces by hand. A bit messy but definitely worth it. Drizzle with the dressing. Be sure to get some of the pepper on each salad. A balanced meal: colour on the left, white on the right. Plate the haddock next to the salads. Spoon the sauce over the top and serve.